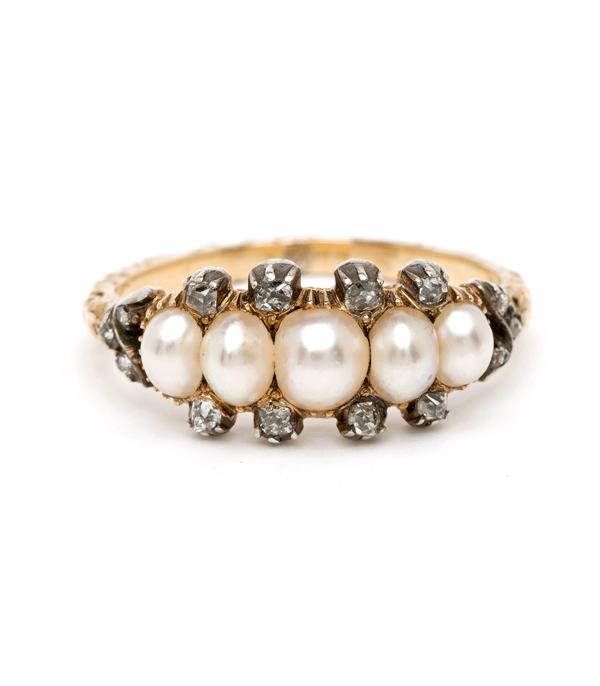 The English word pearl comes from the French perle, originally from the Latin perna meaning leg. This referred to the leg shape to the bivalvia, which is the marine class that oysters, mollusks and mussels belong to, as well as many other families that live in saltwater. A pearl is a hard object produced within the soft tissue of a living shelled mollusk or other animal. 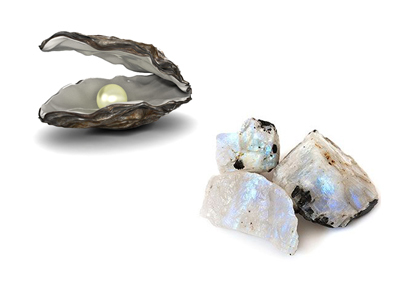 Just like the shell of the mollusk, a pearl is composed of calcium carbonate, only in a very small crystalline form. The ideal pearl is perfectly round and smooth although different shapes do occur. These are know as baroque pearls. Natural Pearls occur spontaneously in the wild, but are very rare and the most valuable. The finest quality natural pearls have been highly valued as gemstones and objects of beauty for many centuries. The majority of pearls sold today are primarily cultured or farmed pearls from fresh water mussels and pearl oysters. 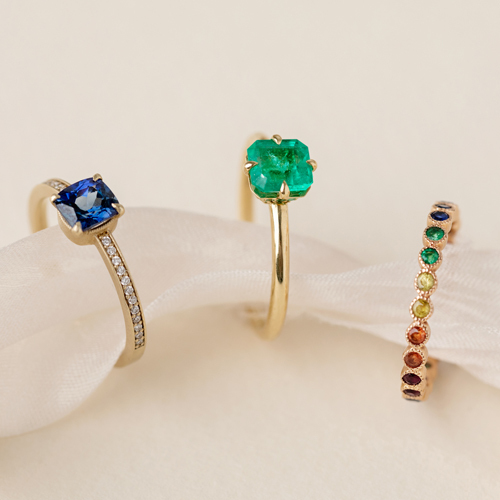 Regardless of its origin, gem quality pearls are almost always nacreous and iridescent. Pearls are said to have a soothing influence and promote peacefulness. Over time they have become a symbol of modesty and innocence. Because of this they have become associated with brides and are commonly worn during the wedding ceremony, either as bridal jewelry or sewn into the dress or shoes. 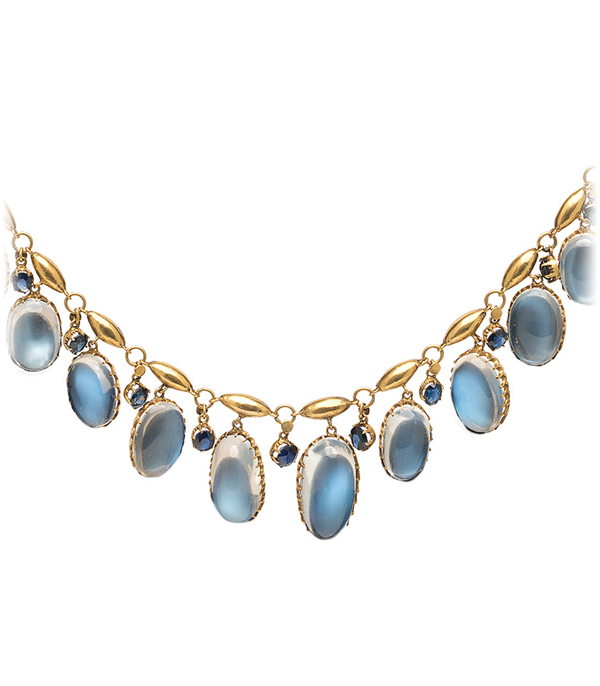 Moonstone gets its name from the visual effect or sheen caused by light diffraction. It is composed of orthoclase and albite which belong to a group of rock called felspar. Feldspar is distinguished by the presence of alumina and silica. The orthoclase and albite form in alternating stacking layers and when light falls between the layers, adularescence occures, which is the phenomenon of light scattering in all directions. 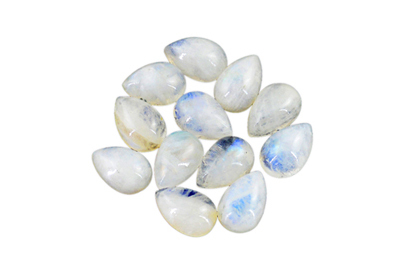 Moonstone has been used in jewelry for millennia. Both the Romans and the Greeks associate moonstone with their Lunar Gods. The Romans believed it manifested from moonlight and that you could see an image of the Moon Godess Diana in the stone. The Greeks called it Aphroselene by merging the names of their Godess of Love, Aphrodite and their Goddess of the Moon, Selene. Moonstone is found in Armenia, Australia, the Austrian Alps, Mexico, Madagascar, Myanmar, Norway, Poland, India, Sri Lanka and the United States.